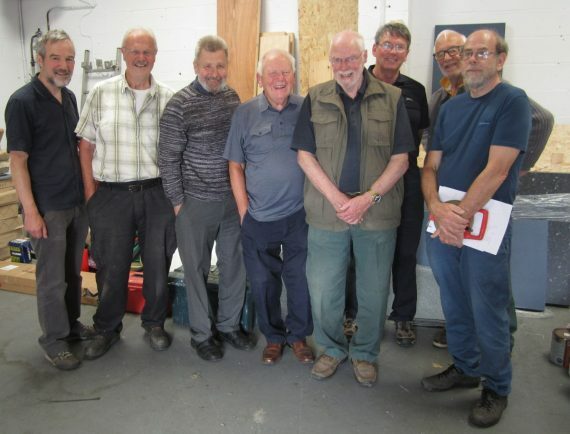 PEOPLE can find out more about the Bromsgrove Men In Sheds group at two upcoming open days, writes Eve Watson. The events, which anyone can go along to for chat and a cup of tea, will be between 11am and 2pm on Thursday, Februrary 7, and from 11am to 3pm on March 23. ‘The Shedders’ take part in DIY, restoring furniture and completing community projects. The scheme, run by Age UK Bromsgrove, Redditch and Wyre Forest, brings together people, often retirees, who want to share and learn new skills in a relaxed environment. The group’s base is at Unit 1, Metal and Ores Industrial Estate, 138 Hanbury Road, Stoke Prior, Bromsgrove. Visit www.ageuk.org.uk/brwf/ and click the ‘Men in Sheds’ link in the ‘Activities and Events’ section or call Jo Hughes on 01527 868855 to find out more about the group.